Our main aim is to help growers, flower wholesalers, exporters and importers, buyers such as florists, and allied industry members such as plant growers, through improved communication and networking. 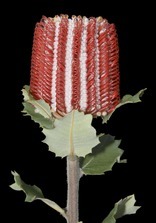 WFA also aims to provide information to the public on commercial wildflower production in Australia. If you are an industry member or are interested in joining the commercial wildflower industry, please go to for-growers-and-value-chain-members - there you will find a wealth of information and further contacts. WFA is the national industry association representing the many members of the wildflower industry - growers, flower wholesalers, exporters and importers, flower and foliage buyers, research and extension specialists and plant growers. * Education and problem solving through meetings, conferences, surveys and discussions. If you are a new visitor to the site please use the navigation bar on the left to browse the site - there is a myriad of information on WFA and wildflowers available to you here. Need help? Please contact management@wildflowersaustralia.com.au for more information if you cannot find what you are looking for on the site. Members: please click member-login to log on. Download What Cut Flower Is That?